Most lines of Grandt rods are completely customizable as well. Signaturefishingrods.com carries multiple lines, each refined to enhance your fishing experience. If you don’t see the exact rod you have been looking for we can customize a fishing rod to your specifications. 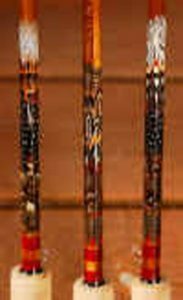 With our options available, Signaturefishingrods.com can likely create any custom fishing pole to meet specific angling needs. 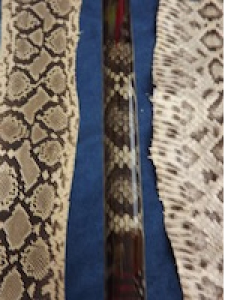 Decorative design options including fish prisms, rattlesnake skin, feathers etc. With so many options available, we know that you will be satisfied with your purchase from Signaturefishingrods.com. Contact us to get started building your very own customized fishing rod today. Make your fishing rod a unique customized fishing rod! 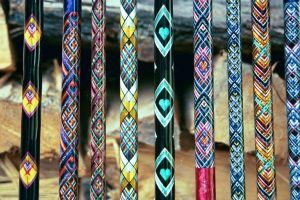 XLH70 Series, Reserve Power Series and Stealth Series fishing rods include a choice of a Fish Prism, an Exotic Feather Design, a Decorative Thread Weave Pattern, or a Rattlesnake Design on most models for an additional charge. Trimmed with feathers, rattlesnake skin has been added as a new design options for XLH70 Series, Reserve Power Series, and Stealth Series customized fishing rods. You also have the option of replacing the standard handle on many of the XLH70 Series, Reserve Power Series and the Stealth Series with a wood handle for an additional charge. Wood handles provide additional sensitivity and transmit vibrations clearly to your hand. Wood handles are available in walnut and curly maple. Wood handles come with a Chromed Brass Reel Seat. It is not possible to add any other handle options such as splash reel seats or graphite reel seats when ordering wood handles. 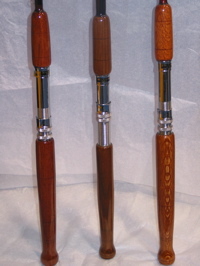 Ordering of wood handles will add at least two weeks to the shipping of a customized fishing rod. Or you can substitute the innovative graphite handle on many of the XLH70 Series, Reserve Power Series and Stealth Series casting and spinning rods to customized fishing rods. The handle is made from woven carbon fiber graphite. It provides a “sure” grip surface and less weight than the standard cork handle. It comes with a fixed reel seat position. It is also available in a skeleton design. The unique, top quality Closed Cell foam handle is another option for a customized fishing rod. It is highly recommended on standup rods, saltwater spin, conventional and saltwater fly rods. This dense material deflects any water saturation and allows for a very firm and comfortable feel for fighting any trophy. This material offers a strong resistance to tears and is extremely durable in and out of rod holders. It has a unique look and is available in several colors.